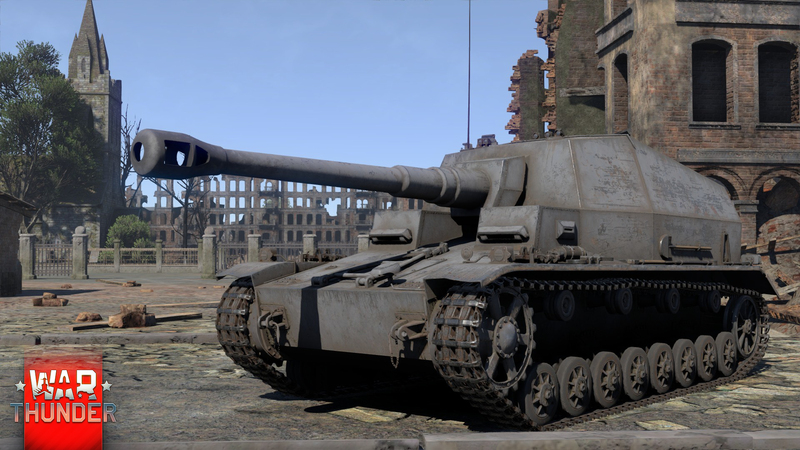 The ‘Fat Max’ continues the line of open-topped German SPGs. The vehicle was intended to be used against concrete bunkers. ‘Fat Max’ is coming in War Thunder 1.57! 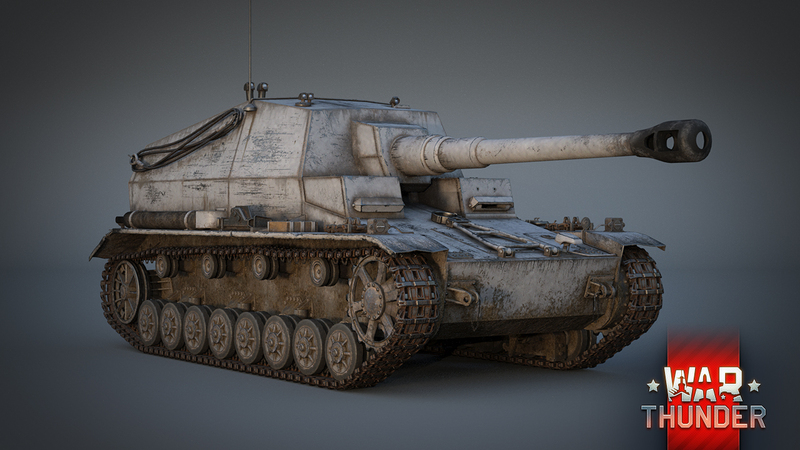 The Pz.Sfl.IVa Dicker Max (“Fat Max”) SPG was developed as an enemy bunker destroyer – a powerful gun on a mobile platform. 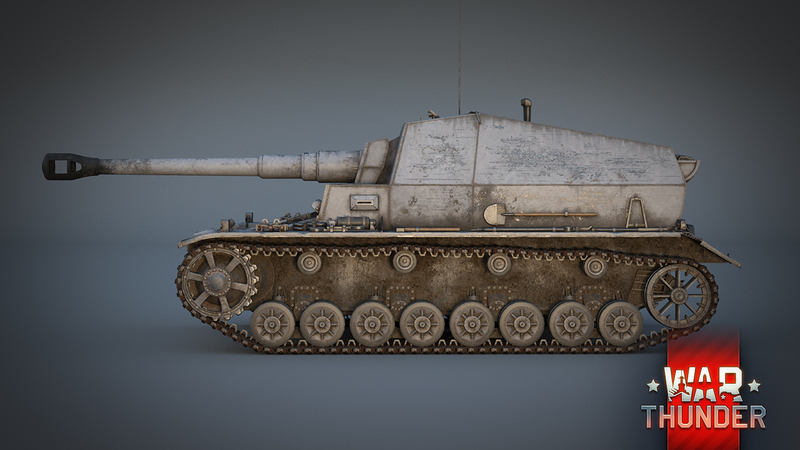 By 1941, the Germans managed to make two experimental prototypes which were sent to the front lines for testing. The ‘Fat Max’ was never actually used for its primary purpose – the requirements for assault guns changed while the SPG was still in development. Both ‘Fat Max’ prototypes were employed in the role we are used to as anti-tank SPGs. Let’s examine the in-game model of the SPG in more detail. The ‘Dicker Max’ is based on a modified Pz.Kpfw.IV Ausf.E medium tank chassis, with the turret removed and replaced by an open-topped cabin. The chassis was not changed much – the front splash guards were removed and the shape of the frame was changed in some ways. The SPG’s armour was inherited from the Pz.Kpfw.IV – a rather decent 50mm around most of the front of the vehicle. However, the task of these SPGs was not a frontal assault, but the provision of support for friendly tank breakthroughs, firing from cover with precise fire at long distances. The interesting gun on the ‘Fat Max’ can help with this – the 105mm K18/L52 weapon. At its core, this is a real field gun which was placed on an open-topped platform! The relatively spacious cabin of the ‘Dicker Max’ holds 26 separately loaded shells and three crew members, including a commander, a gunner and a loader. The radio operator and driver are located in the front of the main hull. The crew space in the cabin, the breech piece of the gun and the crew working positions have all been accurately recreated for the in-game model. 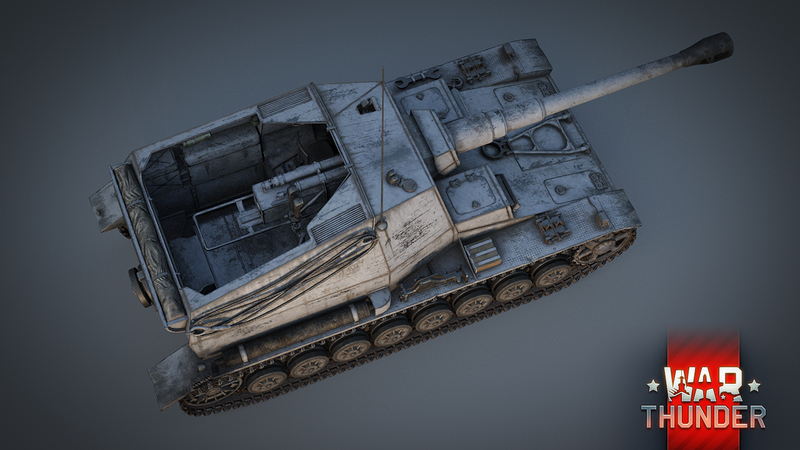 In War Thunder, the ‘Dicker Max’ will be at rank III in a newly added German SPG branch, right before the ‘Nashorn’. Even the frontal armour is not strong enough to allow the vehicle stand still without careful consideration. The firing position needs to be chosen carefully. As usual for this particular German research branch, the weak armour is compensated for by the decent gun. The 105mm gun can easily destroy any opponent at its rank, as well as the vast majority of the others with a direct hit to the front of the turret. The gun has excellent vertical aiming angles, with a depression of -15 degrees. The ammunition includes two types of APHE rounds and HE shells with a large amount of explosive charge. The ‘Dicker Max’ is a worthy vehicle for the professional sniper and expert tankman that supports allied breakthroughs. 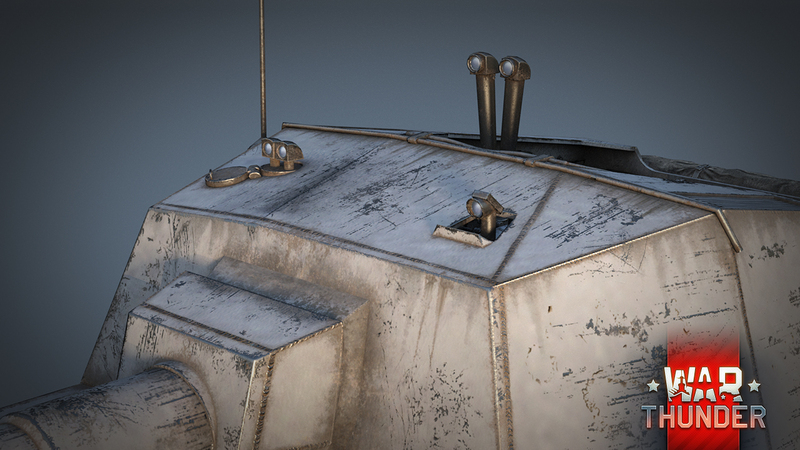 The SPG is already waiting for you in the hangar of the War Thunder 1.57 update which will come out very soon! See you on the battlefield!